Razer is doing some housecleaning with a fall refresh of its laptops, just in time for the Penny Arcade Expo. This includes a crucial tweak for their Blade Stealth ultrabook: a larger 53.4WH battery. For comparison’s sake, it’s bigger than the 38Wh on the HP Spectre and the 37Wh on the Surface Pro. This is a welcome change, since my main issue with the first Stealth was its distinct lack of competitive battery life. Of course, it’s heavier now but not by much: 2.84 pounds versus 2.75 pounds from the last-gen.
Also added to the Stealth is the new Core i7 7500U processor (2.7GHz / 3.5GHz), double the RAM at 16GB (in all models above the base model) and a max solid state drive size of 1TB. With the refresh, there’s a lot going for the Razer’s gaming ultrabook (which only can with an external GPU dock, mind you). 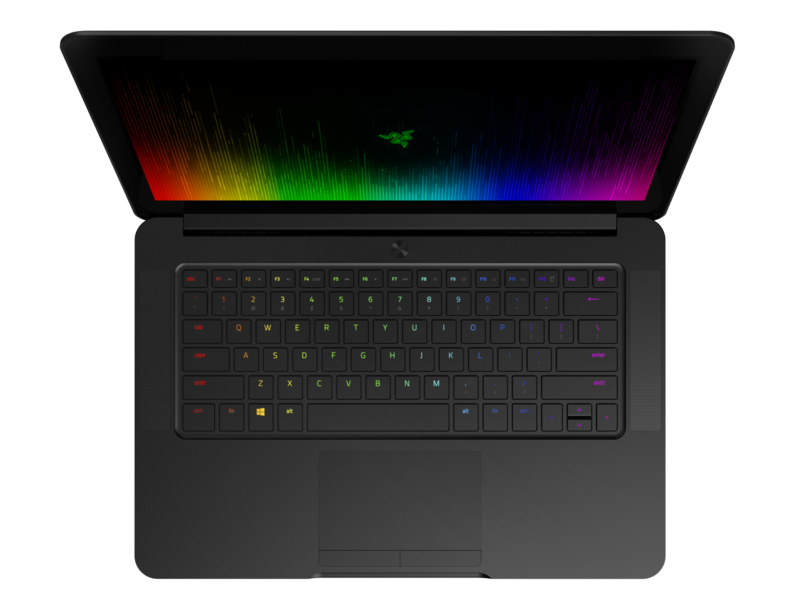 The Blade Stealth is still going for $999 with a 128GB SSD and 8GB RAM, or a $1,249 option with 256GB storage and 16GB RAM. Higher-end models are offered with more storage and a 4K touch screen option. Sales start today, September 2nd, with shipping later this month. Meanwhile, the Razer Core GPU dock is also getting support through an update for the AMD Radeon 400 and NVIDIA GeForce GTX 10 series graphics cards. With a new Stealth the Core costs $399, or $499 separately. Razer is also updating the 14 inch Razer Blade laptop, now in its fifth generation. Mostly a graphics card update, the 6GB GDDR5 GeForce GTX 1060 makes its debut for Razer. It’s not only capable of some smooth framerates but also supports VR, which any PC gamer knows is a heavy workload on all components. In essence, Razer is trying to see if you can get away from a gaming desktop for a while with the new Blade. Maybe you just might. A second display option, in matte with full HD resolution, but that forsakes the touchscreen capability is also going to be part of the Fall refresh for the Blade 14. Personally, I appreciate this option, since native full HD resolution is an easier toll on a mobile graphics card, while still looking presentable. Meanwhile, 16GB RAM with options of 256GB, 512GB or 1TB SSDs still remain. Pre-orders start today, with units shipping in October. Now, if Razer could just give us PC gamers a break by not urging us to buy all their new Chroma accessories, then one of us might be able to get our hands on a new Blade.